FOUR bridges in Northern Province PNG funded by the Australian Government should be completed by early next year, Governor Gary Juffa said yesterday. 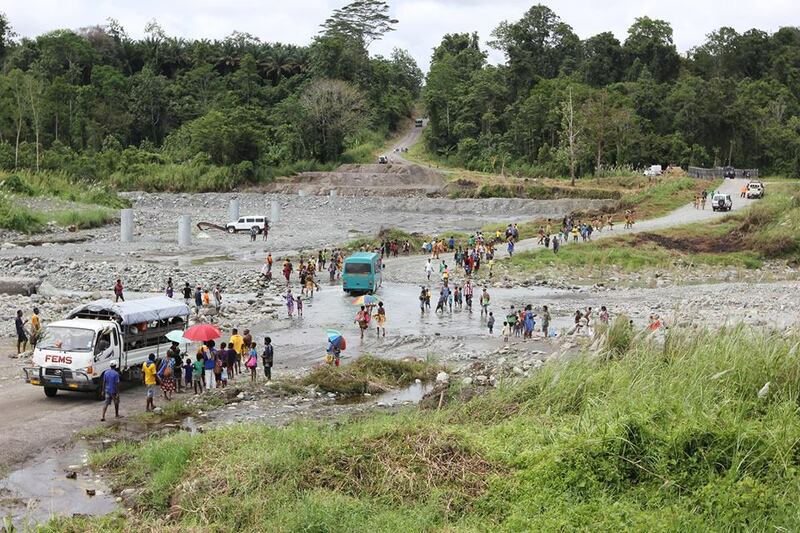 He said that the bridges along the Oro Bay-Kokoda Highway had been washed away in 2007 by Cyclone Guba. Due to lack of co-ordination and administration, the bridges and other restoration work have been left unattended until 2012 when Juffa was elected as regional MP. Mr Juffa, who visited the construction of the bridges during the week, said he was pleased to see the bridges taking shape. He said it took him six months to secure paper work and knock on every door to ensure the bridges were given back to the province. He thanked the Australian tax payers and the Australian Government for more than K30 million to ensure his people were able to access to basic services through the bridges. The bridges include Embogo, Girua, Double Cross and Kumusi which were capable of crippling the province’s economy if they were left unattended, he said. Canstruct Ltd, the company engaged to build the bridges has already set up the basements of all the bridges and are now in the process of completing the decks.